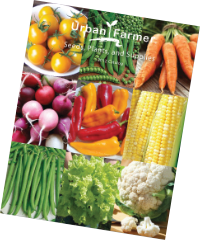 Urban Farmer offers a wide selection of Zinnia seeds for sale. Zinnias make some of the best bouquets. 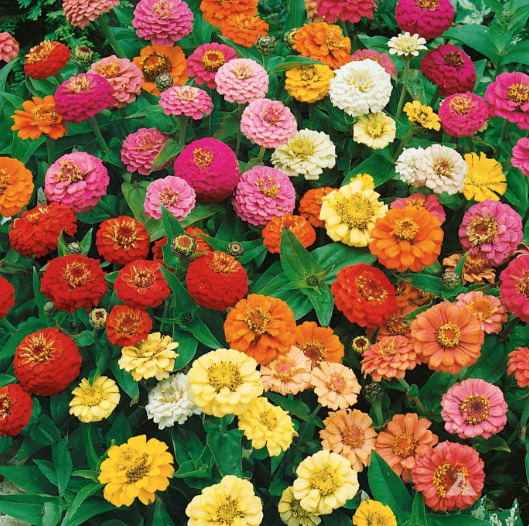 Urban Farmer’s collection of brilliant zinnias makes a striking statement and includes a wide range of colors, shapes, and sizes, including California Giant zinnias with blooms up to 6″ across. 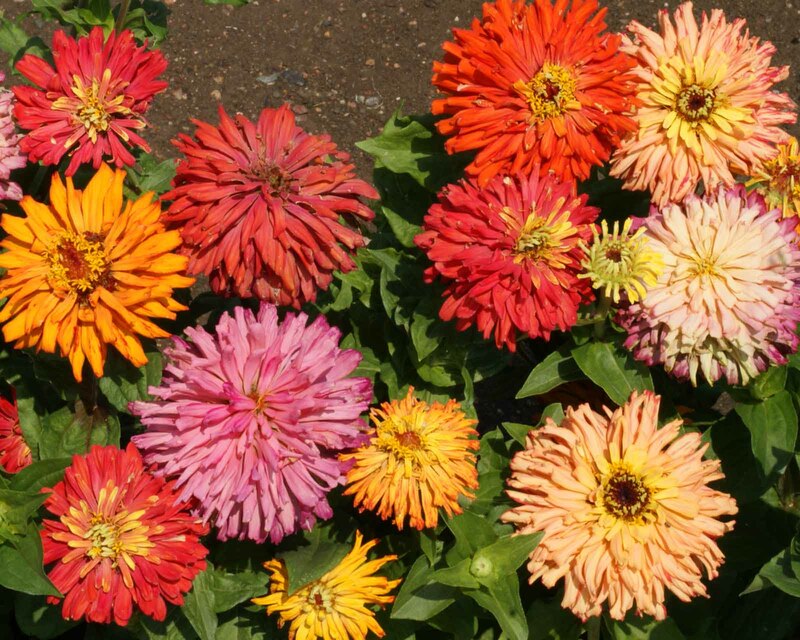 The California Giant Zinnia offers a full spectrum of large colorful flowers that make to be beautiful cut flowers in a bouquet or vase. The Canary Bird Zinnia is a very attractive bright yellow variety that blooms large, brilliantly-yellow petals that make a bold statement. 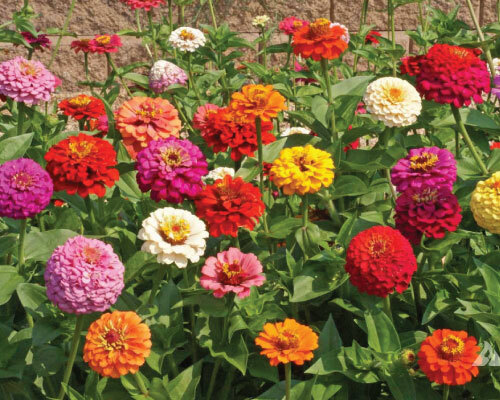 The brightly colored Zinnia Candy Mix is easy to grow and blooms delicious shades of red, yellow, pink and orange all summer long. The Cherry Queen Zinnia produces a large bloom with brilliantly-red petals that are extremely easy to grow and long-lasting. 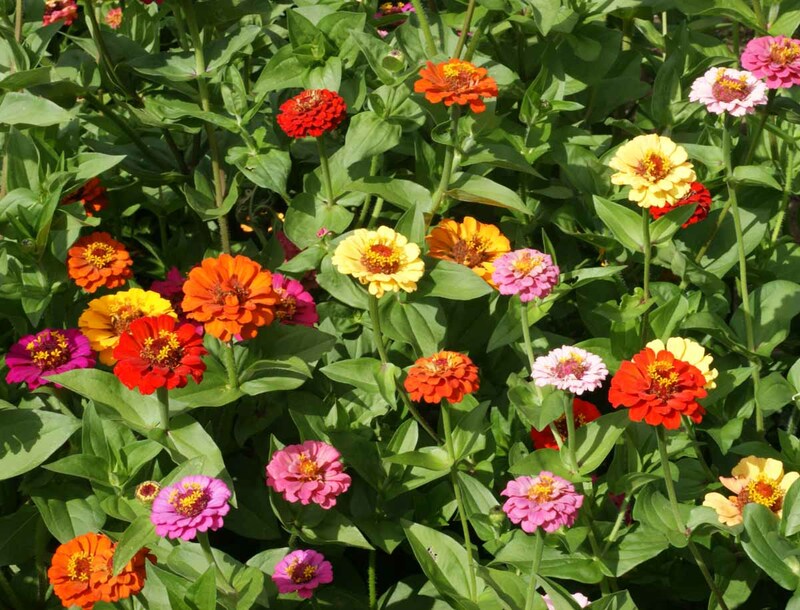 The Cut and Come Again Zinnia is just like its name, its the best variety for those who love fresh cut flowers again and again! 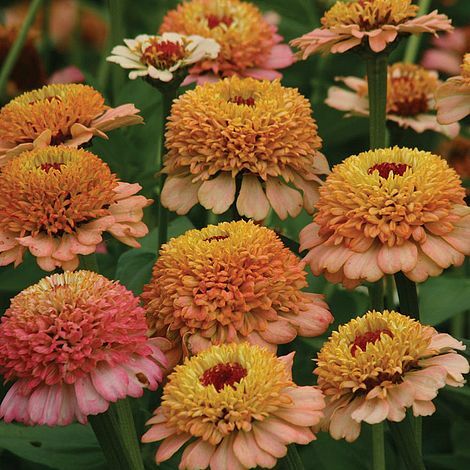 The Orange Crystal Mexican Zinnia is a strong spreading plant that is great for hanging baskets and gets high marks for its early growth. The Orange King produces a beautiful and bright large bloom with brilliantly-orange petals that are extremely easy to grow and long-lasting. 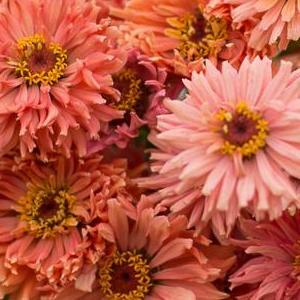 The Pink Luminosa Zinnia produces a large bloom of lovely pink petals that make a beautiful, bold statement in the meadow or home garden. 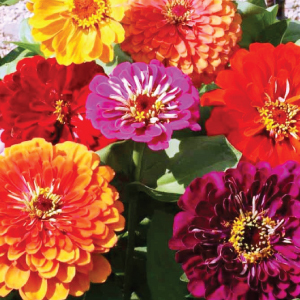 The Pumila Zinnia produces a mix of pink, purple, orange, red, white and yellow semi-double to double blooms that are 1-1.5 inches wide. 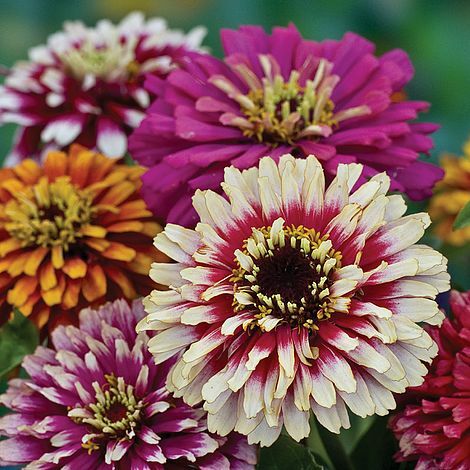 The Purple Prince Zinnia is a big, beautiful and bright purple bloomed variety that is extremely easy to grow and long-lasting. The Senora Zinnia is a large double blooming flower that produces such a unique lush pink bloom, its hard not to look away! 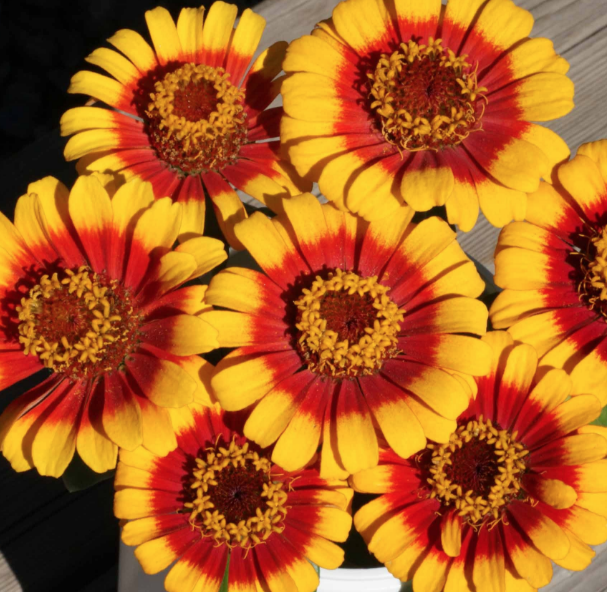 The bright, multi-colored sun-loving Sombrero Zinnia bursts of vivd red and yellow and will bloom all throughout spring and into early fall! 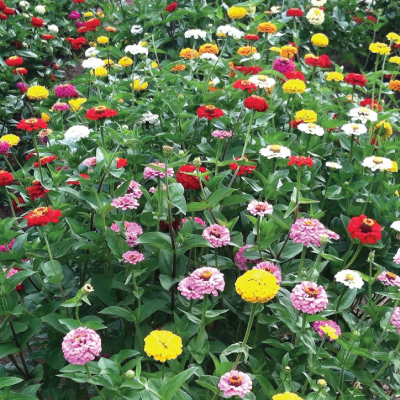 The State Fair Zinnia is a customer favorite and a State Fair winner for its jumbo 5" flowers that bloom in a wide range of colors! 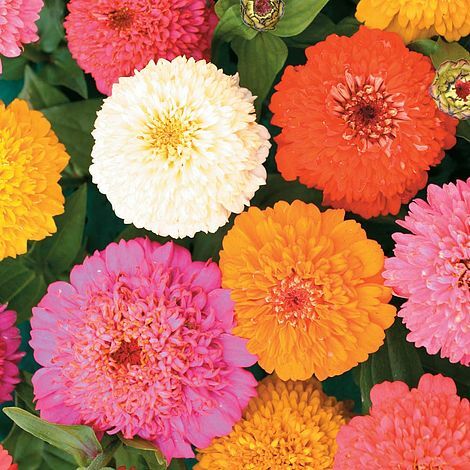 The Zinnia Thumbelina Mix might be tiny, but it definitely is a show-stopper -- blooming shades of red, orange, yellow, pink and white! 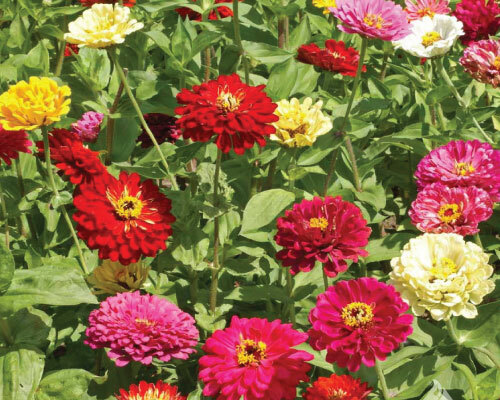 The vibrant, festive multi-colored and patterned blooms of the Whirligig Zinnia are sure to brighten up any garden or bouquet! The White Crystal Mexican Zinnia is a strong spreading plant that blooms beautiful white flowers that are perfect for hanging baskets! The Yellow Crystal Mexican Zinnia is a beautiful variety that blooms lovely yellow flowers that will brighten up any home garden! The lovely full tufted peaches and cream bloom of the Zinderella Peach Zinnia is a perfect addition to any fresh cut flower bouquet! 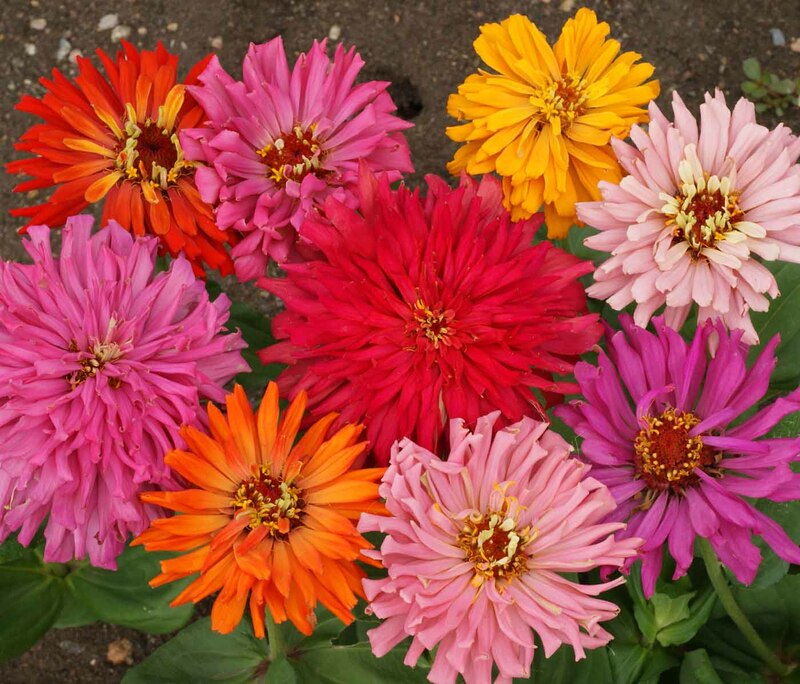 The Zinnia Cactus Flower Mix is an unusual brightly colored mix, as they have beautiful quilled petals rather than flat ones like other varieties. The Polar Bear Zinnia is a beautiful and bright white variety that will make a lovely, bold statement in any meadow or home garden!